It is really difficult when you have multiple images for your computers at your cafe. 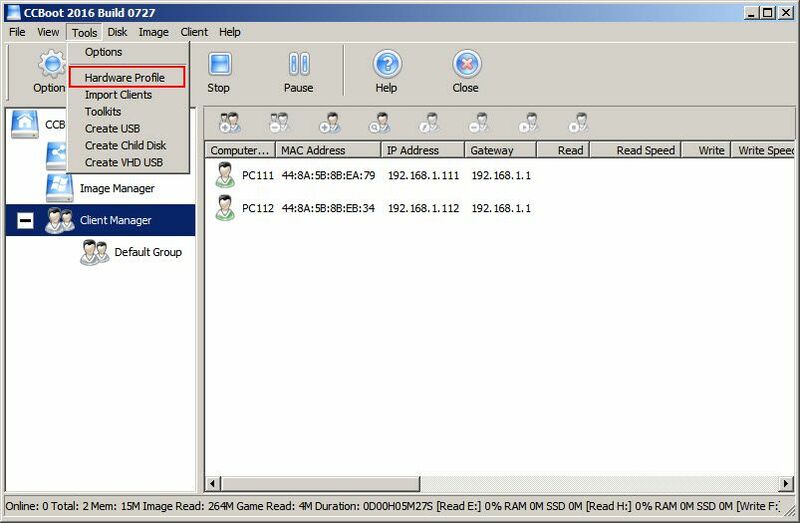 However, with Windows XP, you could use “Hardware Profile” function to make single image for multiple specification computer. 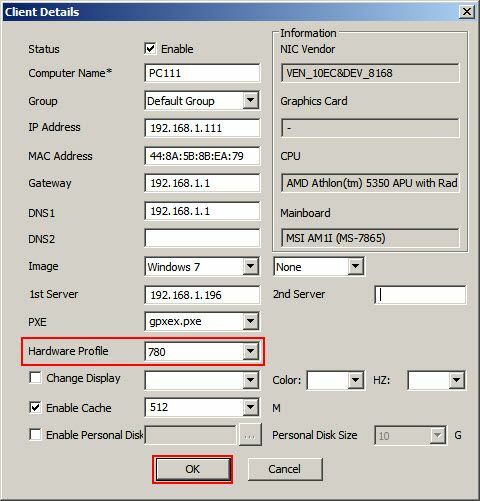 So, we are now introducing an updated “Hardware Profile” function to address this on CCBoot Build 20160727, this methods supports Windows 7 and above Operating systems. Note: This method is for situations where installing graphics driver for one client overwrites the driver of the other, and it shows installing drivers in first client when booted. 1. 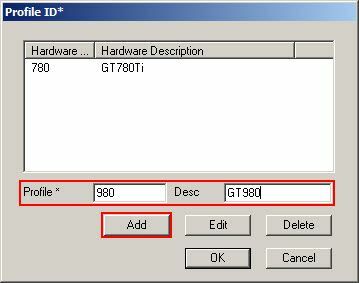 Open “CCBoot UI” and click on ‘Tools->Hardware Profile” (Figure 1). 2. Type the name of profile and description in “Profile” and “Desc” (Figure 2). Here we take examples of GT 780Ti card and newer GT 980 graphics card. 3. Repeat step 2 and add another profile for second card (Figure 3). 4. Now, you have two profile for your two cards (Figure 4). 5. 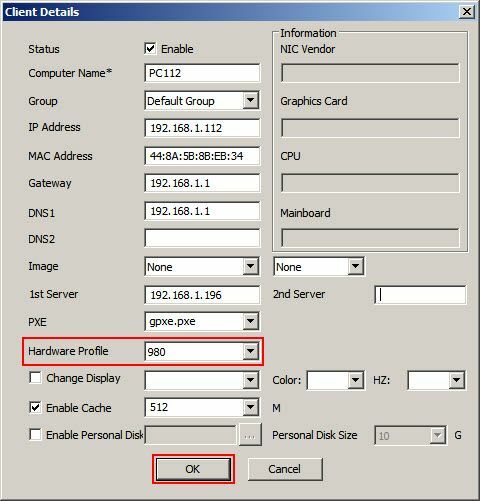 Now, open client details and click the “Hardware Profile” drop down, choose the profile corresponding to this client (Figure 5). 6. Once, profile is chosen, click “OK” to save the settings (Figure 6). Note: Please make sure that you have assigned the hardware profile to the client before you enable superclient. 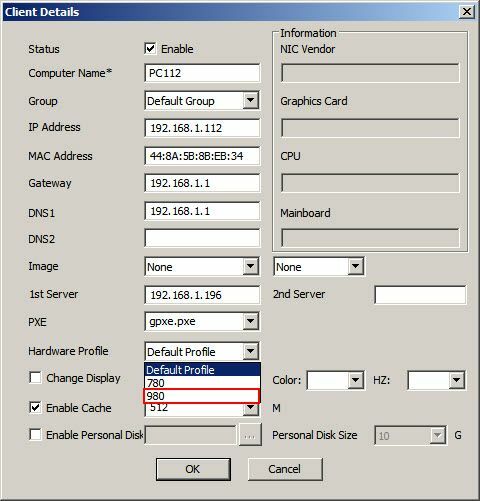 If you enable superclient with default profile it will not activate the hardware profile function. The hardware profiles are located at C:\Windows\Sustem32\CCBootPNP\ so if you want to delete unused profiles, you can delete the profile folder from this path. 7. 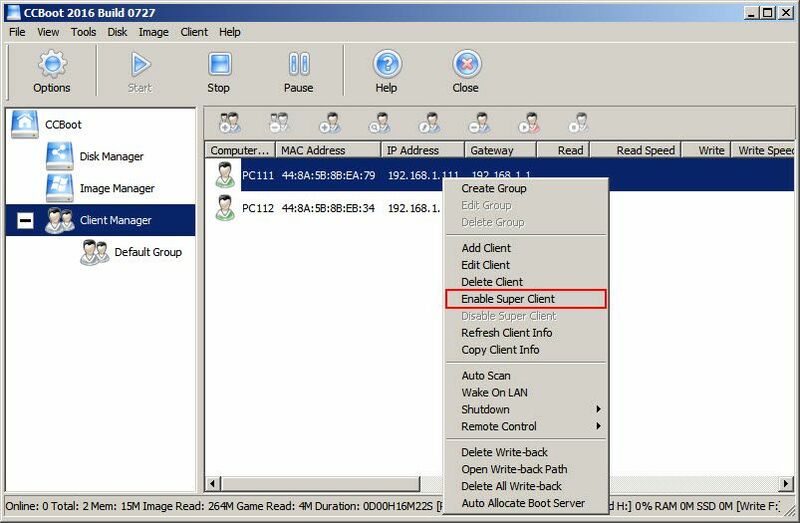 Right click the same client and choose “Enable Superclient” (Figure 7). 8. Tick the image check box and click “OK” (Figure 8). 9. 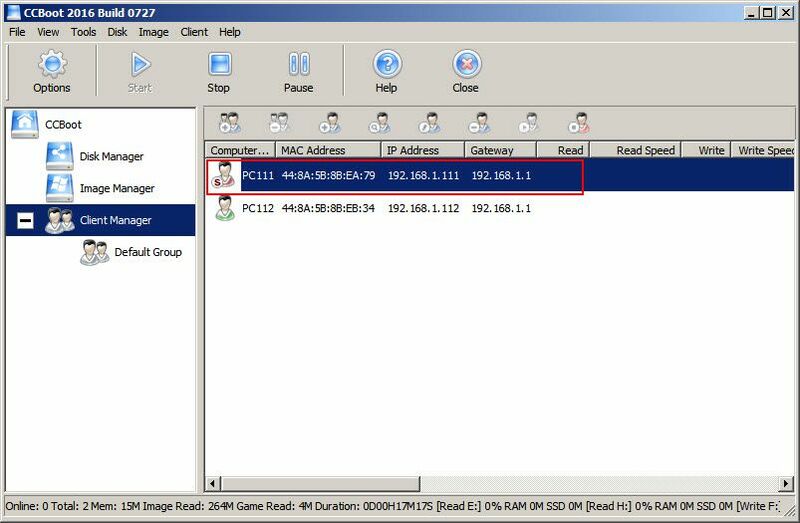 Now, your client is in superclient mode, represented by red color of the client icon (Figure 9). 10. 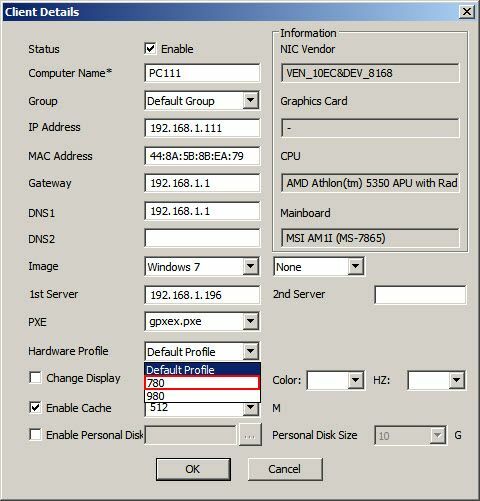 Boot your client and install the graphics and other drivers specific to this client pc specification. Important: After driver installation is done, you have to restart the client PC once and check if any driver issue. 11. Once done, restart your client PC once, then check driver. If everything is ok then, turn off the client pc. 12. 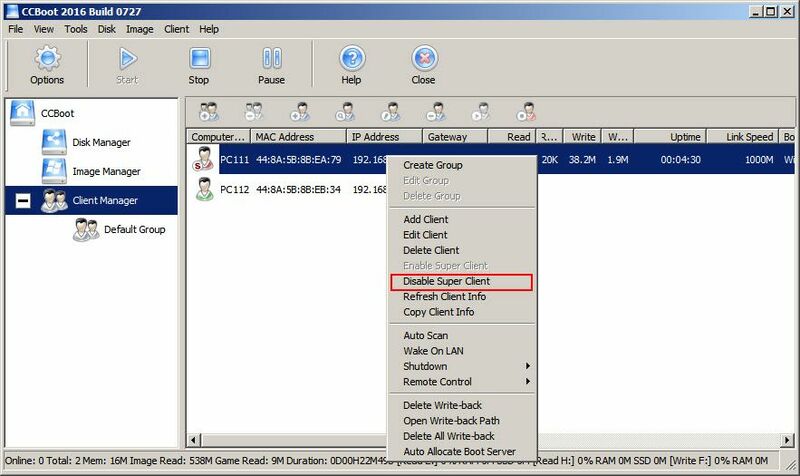 On the server, right click the client pc and choose “Disable Super Client” (Figure 10). 13. It will ask you if you want to update the image, choose “Yes” (Figure 11). 14. 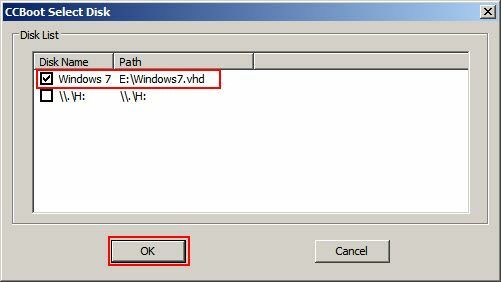 Now, it will ask you if you want to create a recovery point for the image, choose “Yes” (Figure 12). 15. 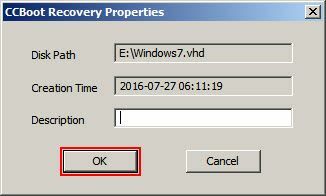 On the “CCBoot Recovery Properties” dialog box, enter the description for the recovery point and click “OK” (Figure 13). 16. It will start the image update process (Figure 14). 17. Once, the image update is completed, on the pop up prompt click “OK” to close it. 18. 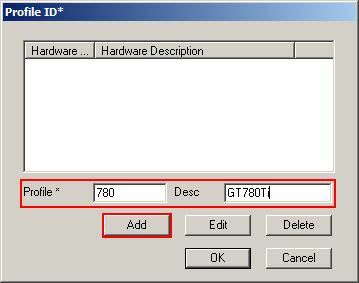 On another client with different hardware specification, double click and open “Client Details” and click “Hardware Profile” drop down like in step 5 (Figure 15). 19. 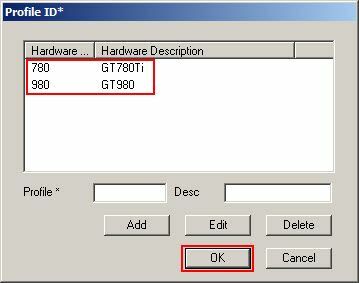 Once, hardware profile is selected, click “OK” to save the client settings (Figure 16). 20. Repeat step 7 through 17 for this client. In short, make the client a Super Client, install drivers, turn it off, disable the Super Client mode and then save the image. 21. Once, you have done this, now boot both client PC. You will now see that both PCs boot without any installing driver notification (Windows 7) or getting devices ready (Windows 8 and above). Note: Please keep in mind that since hardware profile stores drivers in separate folder for each profile the boot time for different specs clients will be different and not always same. Some may take longer than normal image to boot. Note: If after using hardware profile you are experiencing Blue screen issue and driver installing again and again, then we recommend in using separate images for the clients. Also, if you are using Windows 7, then please consider upgrading to Windows 10 as it has better hardware support for new boards and computer specs then on Windows 7.